This May the American tenor Bryan Hymel returns to the Lyric Opera Baltimore in Verdi’s classic operatic tragedy Rigoletto, portraying the Duke of Mantua in a production by John Hoomes and conducted by Richard Buckley. The performances, which take place on May 17 and 19, see Bryan starring alongside American baritone Stephen Powell in the title role and French soprano Norah Amsellem as Rigoletto’s innocent daughter Gilda. Last season Bryan was seen at the Lyric Opera Baltimore in Gounod’s Faust. For more information on the concert, click here. At a Royal Opera House ceremony on Sunday evening, Bryan Hymel won the Olivier Award for Outstanding Achievement in Opera for his trio of performances in Les Troyens, Robert le diable, and Rusalka. The annual Olivier Awards honor achievement in British theater, opera, and dance. Bryan was the only singer to be recognized in the category this year. Bryan’s fellow 2013 nominees for Outstanding Achievement in Opera included conductor Edward Gardner, Music Theatre Wales and Scottish Opera, and the stage management teams of English National Opera and the Royal Opera House. Just last month the Metropolitan Opera named Bryan the recipient of the 2013 Beverly Sills Artist Award. The $50,000 prize, the largest of its kind in the United States, is designated for extraordinarily gifted singers between the ages of 25 and 40 who have already appeared in featured solo roles at the Met. Earlier this April, Bryan was shortlisted for the Royal Philharmonic Society’s Singer Award. Next season the American tenor will return to Covent Garden from October 17 to November 11, as Henri in a new production of Verdi’s Les vêpres siciliennes. Later in the season Bryan makes his house debuts at the Vienna Staatsoper and Opernhaus Zürich and will return to Munich’s Bayerische Staatsoper and New York’s Metropolitan Opera. 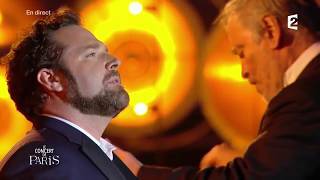 Bryan Hymel has been shortlisted for the Royal Philharmonic Society’s Singer Award. The Royal Philharmonic Society’s Music Awards are the United Kingdom’s highest recognition for live classical music-making. The announcement was made today on BBC Radio 3. Since its establishment in 1989, Royal Philharmonic Society’s Music Awards have honored such musical luminaries as tenor Ben Heppner, pianist Mitsuko Uchida, and conductor Claudio Abbado, among many others. Prize winners for the RPS Music Awards will be announced May 14 at London’s Dorchester Hotel. Bryan has given a number of celebrated performances on the British stage, including leading roles at the Royal Opera House in Robert le diable, Les Troyens, and Rusalka. The American tenor recently received a nod for an Olivier Award for his Covent Garden appearances. Last month, Bryan was named the recipient of the Metropolitan Opera’s Beverly Sills Award.